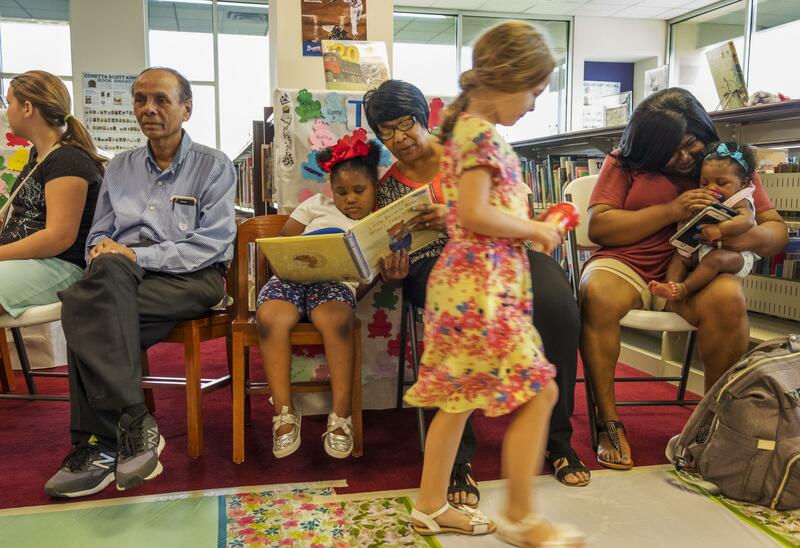 Johnnie Prater, center, reads to her granddaughter at the Riverside Library in Macon Friday. Do you keep debating a property tax hike everyone could live with and blow through the deadline of the end of the fiscal year, thereby triggering a total county shutdown, or pass an interim budget with severe cuts just to keep the county alive and leave room for debate? The county chose the austerity path. That left Macon’s libraries with enough money to stay open into July without further steps. Middle Georgia Regional Library Director Jennifer Lautzenheiser said further steps were warranted. “We decided to scale back library services so we could make them available longer,”’ Lautzenheiser said. She decided to go ahead and close satellite library branches and funnel money to the main, downtown branch, Washington Memorial Library, to keep it afloat until August. “We hope that those who are able are able to get to Washington,” Lautzenheiser said. Some library patrons may find it hard to get from the their neighborhood library branch downtown, though. Macon’s public transit system will shut down due to cuts and there will be cuts to parks departments and other outside agencies that rely in part on county funding. At the Riverside Library branch, the cuts meant the morning ice cream party was the early end to the summer reading program at the branch. Taking a break from reading to her granddaughter, Johnnie Prater asked why $10 million of the austerity burden had to be shouldered by the libraries. 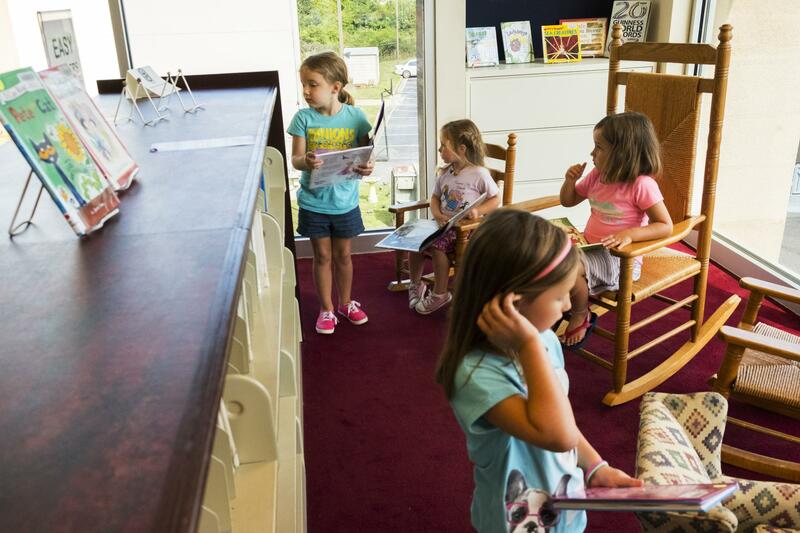 Children browse the shelves at the Riverside Library in Macon. Most of Macon's libraries will be closed due to a county budget fight. “I mean would they close a school because of lack of taxes? I think there are other avenues they can consider,” Prater said. Macon Transit Authority Buses will be idled in this city with a 26 percent poverty rate starting Saturday. That leaves people like Timothy Washington in a pinch. "I use it basically for everything," Washington said. "My shopping, paying bills, everything. It's my only way of transportation." The Macon-Bibb County Commission has until August to set a workable property tax rate. The Middle Georgia Regional Library System has enough money to keep its main library open until about the same time. The Macon-Bibb County Commission votes on Tuesday, July 2, on an amendment to the budget that could restore funding. GPB's Sophie Peel contributed reporting to this story.